One person in California has died as a result of the ongoing E. coli outbreak tied to romaine lettuce, according to health officials. The latest update from the Centers for Disease Control and Prevention reports 23 additional illnesses, bringing the total to 121 cases from 25 states. Fifty-two people out of the 102 cases with available information have been hospitalized -- an unusually high hospitalization rate of 51 percent. Fourteen of those patients developed a type of kidney failure called hemolytic uremic syndrome. The California Department of Public Health confirmed the death to CBS News but did not provide any additional details, citing patient privacy laws. The state has reported 24 illnesses linked to the outbreak, one of the highest totals in the country. Since the last CDC update on Friday, three more states have reported cases, including Kentucky, Massachusetts, and Utah. The current E. coli outbreak is the worst multistate outbreak since 2006. Like that outbreak, which traced back to spinach and was linked to 238 illnesses and five deaths, the CDC says the bacteria strain behind the current outbreak is one that tends to cause more serious illnesses. Health officials continue to advise consumers not to eat any romaine lettuce from the Yuma, Arizona growing region. Every winter, the Yuma region provides most of the romaine sold in the U.S. The warning includes whole heads and hearts of romaine, chopped romaine, and salads and salad mixes containing romaine lettuce. Product labels often do not identify growing regions; do not eat or buy romaine lettuce if you do not know where it was grown. Health officials warn that washing your lettuce does not offer enough protection. "This bacteria can actually get inside the lettuce leaf," said Ian Williams, chief of the CDC's Outbreak Response and Prevention Branch, CBS SF Bay Area reports. "Washing it doesn't make it safe. The Food and Drug Administration has identified Harrison Farms of Yuma, Arizona, as the grower and sole source of the whole-head romaine lettuce that sickened several people in an Alaska correctional facility. 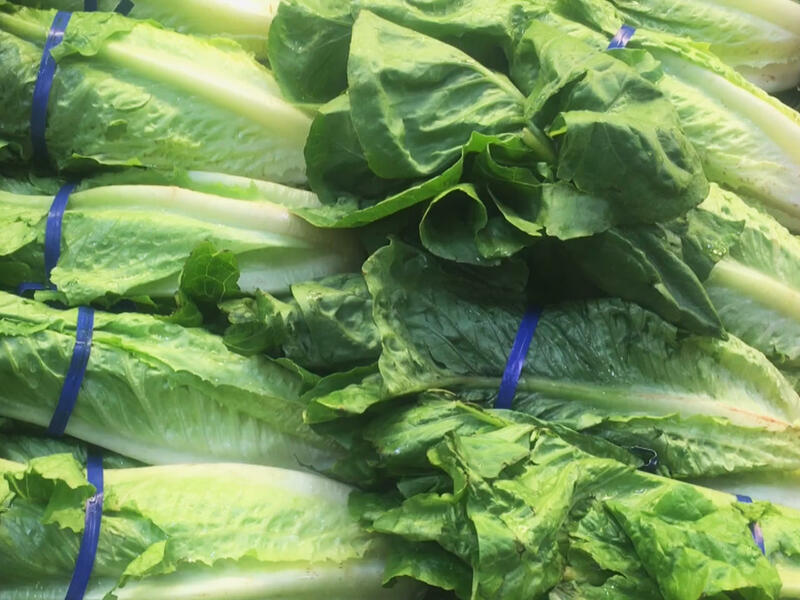 However, it has not determined where in the supply chain the contamination occurred, and it has not confirmed the specific source of the other illnesses in the outbreak, which is why officials are advising consumers to avoid all romaine lettuce from the Yuma growing region. Symptoms of E. coli include diarrhea, which can be bloody, severe stomach cramps and vomiting. It usually takes an average of three to four days to after eating contaminated food for people to begin experiencing symptoms. The illness typically clears up within a week, but sometimes it can linger longer and lead to serious complications like hemolytic uremic syndrome (HUS). Signs of HUS include fever, abdominal pain, pale skin tone, fatigue and irritability, unexplained bruises or bleeding from the nose and mouth, and decreased urination. These complications are more common in young children under 5, older adults, and people with weakened immune systems.